The Townshend Acts were a series of acts passed, beginning in 1767, by the Parliament of Great Britain relating to the British colonies in North America. The acts are named after Charles Townshend, the Chancellor of the Exchequer, who proposed the program. Historians vary slightly in which acts they include under the heading “Townshend Acts”, but five laws are often mentioned: the Revenue Act of 1767, the Indemnity Act, the Commissioners of Customs Act, the Vice Admiralty Court Act, and the New York Restraining Act. The purpose of the Townshend Acts was to raise revenue in the colonies to pay the salaries of governors and judges so that they would be independent of colonial rule, to create a more effective means of enforcing compliance with trade regulations, to punish the province of New York for failing to comply with the 1765 Quartering Act, and to establish the precedent that the British Parliament had the right to tax the colonies. The Townshend Acts were met with resistance in the colonies, prompting the occupation of Boston by British troops in 1768, which eventually resulted in the Boston Massacre of 1770. As a result of the massacre in Boston, Parliament began to consider a motion to partially repeal the Townshend duties. Most of the new taxes were repealed, but the tax on tea was retained. The British government continued in its attempt to tax the colonists without their consent and the Boston Tea Party and the American Revolution followed. Following the Seven Years’ War (1756–1763), the British Empire was deep in debt. To help pay some of the costs of the newly expanded empire, the British Parliament decided to levy new taxes on the colonies of British America. Previously, through the Trade and Navigation Acts, Parliament had used taxation to regulate the trade of the empire. But with the Sugar Act of 1764, Parliament sought, for the first time, to tax the colonies for the specific purpose of raising revenue. American colonists initially objected to the Sugar Act for economic reasons, but before long they recognized that there were constitutional issues involved. It was argued that the Bill of Rights 1688 protected British subjects from being taxed without the consent of a truly representative Parliament. Because the colonies elected no members of the British Parliament, many colonists viewed Parliament’s attempt to tax them as a violation of the constitutional doctrine of taxation only by consent. Some British politicians countered this argument with the theory of “virtual representation”, which maintained that the colonists were in fact represented in Parliament even though they elected no members. This issue, only briefly debated following the Sugar Act, became a major point of contention following Parliament’s passage of the 1765 Stamp Act. The Stamp Act proved to be wildly unpopular in the colonies, contributing to its repeal the following year, along with the lack of substantial revenue being raised. Implicit in the Stamp Act dispute was an issue more fundamental than taxation and representation: the question of the extent of Parliament’s authority in the colonies. Parliament provided its answer to this question when it repealed the Stamp Act in 1766 by simultaneously passing the Declaratory Act, which proclaimed that Parliament could legislate for the colonies “in all cases whatsoever”. The first of the Townshend Acts, sometimes simply known as the Townshend Act, was the Revenue Act of 1767. This act represented the Chatham ministry’s new approach for generating tax revenue in the American colonies after the repeal of the Stamp Act in 1766. The British government had gotten the impression that because the colonists had objected to the Stamp Act on the grounds that it was a direct (or “internal”) tax, colonists would therefore accept indirect (or “external”) taxes, such as taxes on imports. With this in mind, Charles Townshend, the Chancellor of the Exchequer, devised a plan that placed new duties on paper, paint, lead, glass, and tea that were imported into the colonies. These were items that were not produced in North America and that the colonists were only allowed to buy from Great Britain. The British government’s belief that the colonists would accept “external” taxes resulted from a misunderstanding of the colonial objection to the Stamp Act. The colonists’ objection to “internal” taxes did not mean that they would accept “external” taxes; the colonial position was that any tax laid by Parliament for the purpose of raising revenue was unconstitutional. 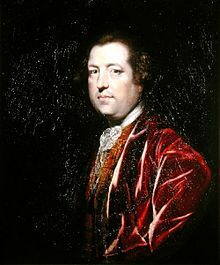 “Townshend’s mistaken belief that Americans regarded internal taxes as unconstitutional and external taxes constitutional”, wrote historian John Phillip Reid, “was of vital importance in the history of events leading to the Revolution.” The Townshend Revenue Act received the royal assent on 29 June 1767. There was little opposition expressed in Parliament at the time. “Never could a fateful measure have had a more quiet passage”, wrote historian Peter Thomas. The Revenue Act was passed in conjunction with the Indemnity Act of 1767, which was intended to make the tea of the British East India Company more competitive with smuggled Dutch tea. The Indemnity Act repealed taxes on tea imported to England, allowing it to be re-exported more cheaply to the colonies. This tax cut in England would be partially offset by the new Revenue Act taxes on tea in the colonies. The Revenue Act also reaffirmed the legality of writs of assistance, or general search warrants, which gave customs officials broad powers to search houses and businesses for smuggled goods. Some members of Parliament objected because Townshend’s plan was expected to generate only ₤40,000 in yearly revenue, but he explained that once the precedent for taxing the colonists had been firmly established, the program could gradually be expanded until the colonies paid for themselves. According to historian Peter Thomas, Townshend’s “aims were political rather than financial”. Another measure to aid in enforcement of the trade laws was the Vice Admiralty Court Act of 1768. Although often included in discussions of the Townshend Acts, this act was initiated by the Cabinet when Townshend was not present, and was not passed until after his death. Before this act, there was just one vice admiralty court in North America, located in Halifax, Nova Scotia. Established in 1764, this court proved to be too remote to serve all of the colonies, and so the 1768 Vice Admiralty Court Act created four district courts, which were located at Halifax, Boston, Philadelphia, and Charleston. One purpose of the vice admiralty courts, which did not have juries, was to help customs officials prosecute smugglers, since colonial juries were reluctant to convict persons for violating unpopular trade regulations. Townshend also faced the problem of what to do about the New York Provincial Assembly, which had refused to comply with the 1765 Quartering Act because its members saw the act’s financial provisions as levying an unconstitutional tax. The New York Restraining Act, which according to historian Robert Chaffin was “officially a part of the Townshend Acts”, suspended the power of the Assembly until it complied with the Quartering Act. The Restraining Act never went into effect because, by the time it was passed, the New York Assembly had already appropriated money to cover the costs of the Quartering Act. The Assembly avoided conceding the right of Parliament to tax the colonies by making no reference to the Quartering Act when appropriating this money; they also passed a resolution stating that Parliament could not constitutionally suspend an elected legislature. Townshend knew that his program would be controversial in the colonies, but he argued that, “The superiority of the mother country can at no time be better exerted than now.” The Townshend Acts did not create an instant uproar like the Stamp Act had done two years earlier, but before long, opposition to the program had become widespread. Townshend did not live to see this reaction, having died suddenly on 4 September 1767. The most influential colonial response to the Townshend Acts was a series of twelve essays by John Dickinson entitled “Letters from a Farmer in Pennsylvania”, which began appearing in December 1767. Eloquently articulating ideas already widely accepted in the colonies, Dickinson argued that there was no difference between “internal” and “external” taxes, and that any taxes imposed on the colonies by Parliament for the sake of raising a revenue were unconstitutional. Dickinson warned colonists not to concede to the taxes just because the rates were low, since this would set a dangerous precedent. Dickinson sent a copy of his “Letters” to James Otis of Massachusetts, informing Otis that “whenever the Cause of American Freedom is to be vindicated, I look towards the Province of Massachusetts Bay”. The Massachusetts House of Representatives began a campaign against the Townshend Acts by first sending a petition to King George asking for the repeal of the Revenue Act, and then sending a letter to the other colonial assemblies, asking them to join the resistance movement. Upon receipt of the Massachusetts Circular Letter, other colonies also sent petitions to the king. Virginia and Pennsylvania also sent petitions to Parliament, but the other colonies did not, believing that it might have been interpreted as an admission of Parliament’s sovereignty over them. Parliament refused to consider the petitions of Virginia and Pennsylvania. In Great Britain, Lord Hillsborough, who had recently been appointed to the newly created office of Colonial Secretary, was alarmed by the actions of the Massachusetts House. In April 1768 he sent a letter to the colonial governors in America, instructing them to dissolve the colonial assemblies if they responded to the Massachusetts Circular Letter. He also sent a letter to Massachusetts Governor Francis Bernard, instructing him to have the Massachusetts House rescind the Circular Letter. By a vote of 92 to 17, the House refused to comply, and Bernard promptly dissolved the legislature. Merchants in the colonies, some of them smugglers, organized economic boycotts to put pressure on their British counterparts to work for repeal of the Townshend Acts. Boston merchants organized the first non-importation agreement, which called for merchants to suspend importation of certain British goods effective 1 January 1769. Merchants in other colonial ports, including New York City and Philadelphia, eventually joined the boycott. In Virginia, the non-importation effort was organized by George Washington and George Mason. When the Virginia House of Burgesses passed a resolution stating that Parliament had no right to tax Virginians without their consent, Governor Lord Botetourt dissolved the assembly. The members met at Raleigh Tavern and adopted a boycott agreement known as the “Association”. The non-importation movement was not as effective as promoters had hoped. British exports to the colonies declined by 38 percent in 1769, but there were many merchants who did not participate in the boycott. The boycott movement began to fail by 1770, and came to an end in 1771. The newly created American Customs Board was seated in Boston, and so it was there that the Board concentrated on strictly enforcing the Townshend Acts. The acts were so unpopular in Boston that the Customs Board requested naval and military assistance. Commodore Samuel Hood complied by sending the fifty-gun warship HMS Romney, which arrived in Boston Harbor in May 1768. On June 10, 1768, customs officials seized the Liberty, a sloop owned by leading Boston merchant John Hancock, on allegations that the ship had been involved in smuggling. Bostonians, already angry because the captain of the Romney had been impressing local sailors, began to riot. Customs officials fled to Castle William for protection. With John Adams serving as his lawyer, Hancock was prosecuted in a highly publicized trial by a vice-admiralty court, but the charges were eventually dropped. Given the unstable state of affairs in Massachusetts, Hillsborough instructed Governor Bernard to try to find evidence of treason in Boston. Parliament had determined that the Treason Act 1543 was still in force, which would allow Bostonians to be transported to England to stand trial for treason. Bernard could find no one who was willing to provide reliable evidence, however, and so there were no treason trials. The possibility that American colonists might be arrested and sent to England for trial produced alarm and outrage in the colonies. Even before the Liberty riot, Hillsborough had decided to send troops to Boston. On 8 June 1768, he instructed General Thomas Gage, Commander-in-Chief, North America, to send “such Force as You shall think necessary to Boston”, although he conceded that this might lead to “consequences not easily foreseen”. Hillsborough suggested that Gage might send one regiment to Boston, but the Liberty incident convinced officials that more than one regiment would be needed. People in Massachusetts learned in September 1768 that troops were on the way. Samuel Adams organized an emergency, extralegal convention of towns and passed resolutions against the imminent occupation of Boston, but on 1 October 1768, the first of four regiments of the British Army began disembarking in Boston, and the Customs Commissioners returned to town. The “Journal of Occurrences”, an anonymously written series of newspaper articles, chronicled clashes between civilians and soldiers during the military occupation of Boston, apparently with some exaggeration. Tensions rose after Christopher Seider, a Boston teenager, was killed by a customs employee on 22 February 1770. Although British soldiers were not involved in that incident, resentment against the occupation escalated in the days that followed, resulting in the killing of five civilians in the so-called Boston Massacre of 5 March 1770. After the incident, the troops were withdrawn to Castle William. 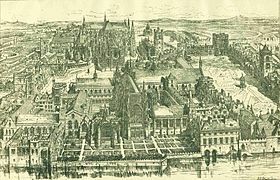 On the 5 of March 1770— the same day as the Boston Massacre—Lord North, the new Prime Minister, presented a motion in the House of Commons that called for partial repeal of the Townshend Revenue Act. Although some in Parliament advocated a complete repeal of the act, North disagreed, arguing that the tea duty should be retained to assert “the right of taxing the Americans”. After debate, the Repeal Act received the Royal Assent on 12 April 1770. Historian Robert Chaffin argued that little had actually changed: It would be inaccurate to claim that a major part of the Townshend Acts had been repealed. The revenue-producing tea levy, the American Board of Customs and, most important, the principle of making governors and magistrates independent all remained. In fact, the modification of the Townshend Duties Act was scarcely any change at all. The Townshend duty on tea was retained when the 1773 Tea Act was passed, which allowed the East India Company to ship tea directly to the colonies. The Boston Tea Party soon followed, which set the stage for the American Revolution.